Comment: Carpenter bee extermination and holes filled. Comment: Something is making noise in the attic And eating the wood and food in my home. Comment: Have a squirrel in my basement. It is trying to get up into the upstairs. Comment: I'm trying to get rid of the animals at my friend's house by making my own toxic pest poisoning. Pittsfield Pest Control Services are rated 4.50 out of 5 based on 383 reviews of 5 pros. 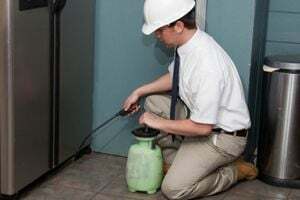 Not Looking for Pest Control Contractors in Pittsfield, MA?